When decorating your home, it’s quite possible that you might choose to include rugs in the overall styling. After all, rugs have plenty of advantages: their color, texture and design can complement your walls, floors, furniture and other elements of design you’ve chosen quite nicely; they provide warmth and insulation against the cold; they prevent slipping on the floor; they help muffle unwanted noises and sounds; and so on. However, their main disadvantage is that they’re difficult to clean. Or so you might think… is that even true? It turns out that rugs aren’t that difficult to clean at it at all – you just have to know how to clean them, and a lot of it depends on their type. Cleaning a wool rug is different than cleaning a sheepskin rug; cleaning an area rug is different than cleaning a bathroom rug. So if you’ve always wanted to know how to clean polypropylene rugs, for example – the following tips might help! 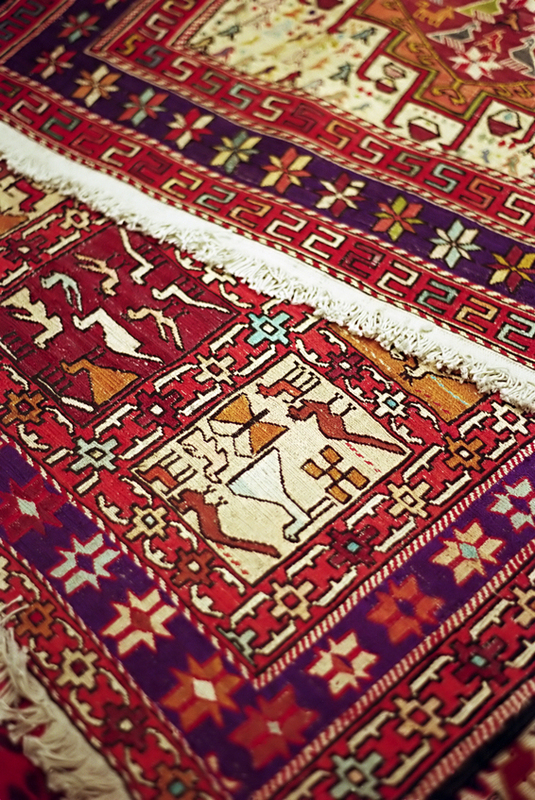 Oriental rugs are often antique, or at least quite old, so they require special care. 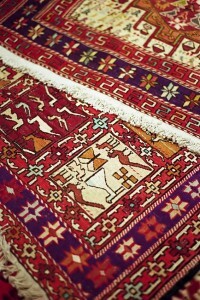 When vacuuming oriental rugs, it is advisable to place a nylon screen over them and vacuum over the screen. 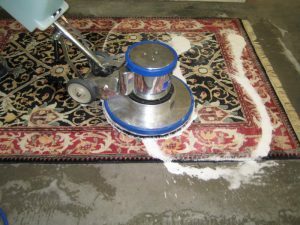 In addition, it is recommended to have rug cleaning NYC by professional carpet cleaners once a year, at least. Cleaning sheepskin rugs work best in combination with talcum powder. Whenever you wish to clean the rug, sprinkle some talcum powder on it and leave it overnight. In the morning sweep the powder and shake it out from the rug. This should be repeated several times. Berber rugs are pretty easy to clean as they have big loops that don’t trap as much dust as other rugs. They should be vacuumed once or twice a week. Once or twice a year, get them cleaned at a professional carpet cleaning company. Sisal rugs should be vacuumed often (both sides), as well as the floor underneath them; their open weave design causes dust and particles to fall through, onto the floor. Stains can be scrubbed with a soft brush dipped in a mixture of water and rug shampoo. 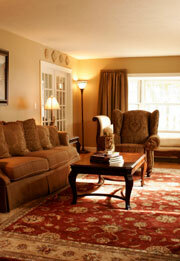 Area rugs should be cleaned every 12 to 18 months. Sweep them regularly with a stiff brush or broom, and occasionally give them a deep cleaning by using a rug shampoo and scrubbing them. After they dry, vacuum them as well. To keep a wool rug clean, there are several things you should do. Take care to vacuum it twice a month, as it tends to accumulate lots of dust – and don’t forget to vacuum both sides of the rug. But vacuuming isn’t enough – you should also shake out your rug at least once a week and leave it outside for a few hours. 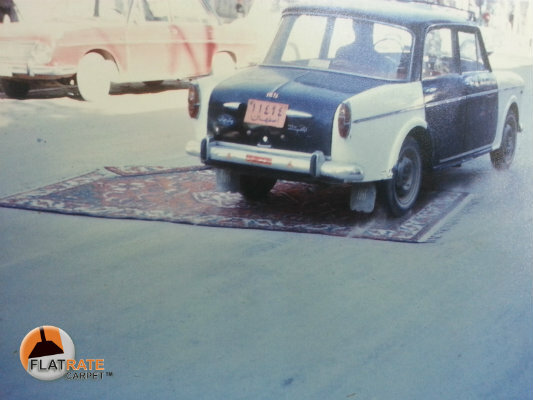 To keep jute rugs nice and clean, we advise to vacuum them regularly, with a powerful vacuum, taking care to go over each area several times and from different directions. To clean them more thoroughly, take them to a carpet cleaning company for dry cleaning (steam cleaning or wet shampoo should not be used on jute rugs). Like other types of rugs, polypropylene rugs should also be vacuumed regularly. But for more rigorous cleaning, special measures need to be taken. After the carpet has been vacuumed, take it outside and place it on a hard surface. Hose it down with water, then pour rug soap onto it or spray it with a rug spray. Scrub the rug vigorously, and then wash away all the remains of the soap/spray. Leave it outside until it’s completely dry. So now that you know how to clean your rug, just purchase the right products and equipment and start cleaning away. You’ll love how fresh and bright your rugs will look afterwards! Area rug cleaning is not a job for everyone. Sure, many companies say they can do it and promise great results, but the right knowledge of rug care is only acquired with a lot of hard work, years of dealing with all types of rugs imaginable and perfecting the rug cleaning process to the letter. Dusting is a crucial part of the that process, and one that is often overlooked. This could harm your rug and even might shorten it’s life span. Our rug cleaning process is methodical, but has room for specific changes, so each rug gets the proper care it needs and deserves. You can read about our detailed rug process here. So Why Dusting it is so Important? After inspecting the rug and finding out what it needs exactly and before we wet it for the actual cleaning, we need to dust it, which means getting all hidden dust – and there is a lot of it as you can see in the video – out. If we don’t do that, the dust will get wet and settle deeper between the fibers, stick to the back of the rug, weakening the structure, making it tear easier and shortening the rug’s life. Simply, we lay out the rug on a mat, and using a specialized dusting machine, we go over it until all dust particles go to the surface of the rug, where we can easily vacuum it and go on with our cleaning process. Whenever you clean your rug, make sure dusting is included – your rug should be truly cared for, not just by you but by your cleaning company. Having a few friends over? With these simple strategies you can finish your house cleaning quickly, and even have some fun. Start off by keeping all your supplies close at hand. Fill a box or bucket with all your cleaning supplies, and bring it with you to cut down on unnecessary trips and distractions. Keep a damp rag in one pocket and a dry one in another for convenient touch ups. Cold weather, busy days and fattening holiday meals make it hard to manage your weight. House cleaning is a great way to get in some old fashioned aerobic exercise while checking things off the to do list. Start by setting the mood with some fast paced music. Keep your heart rate up by dancing while dusting, and move fast. Keeping up a fast pace while you’re cleaning will not only burn calories but will save time as well. Finally, get some incentive other than a clean house. Go and get a manicure when you’re finished, that way you don’t have to worry about ruining your nails, and you’ll give yourself a much needed break after all that hard work.